This is an older image was recorded on a Kodak Tri-X Pan 100 film negative using a Minolta XGM camera with a fast f1.2 50mm prime lens. 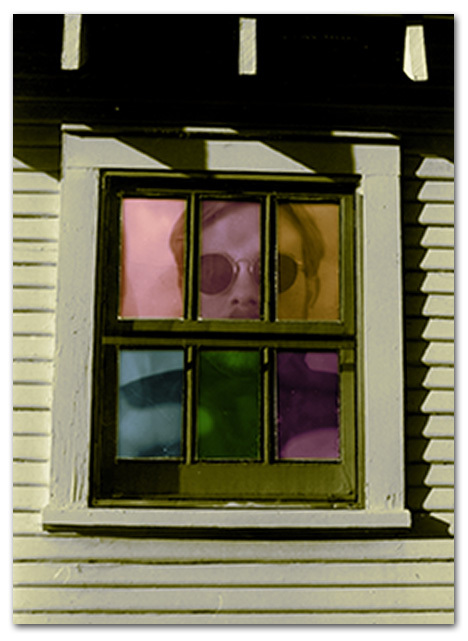 This image, a self-portrait, was manipulated in the darkroom using two different negatives to achieve the composite image. The finished print was then coated with a photographic lacquer and then hand-tinted using a set of Marshall’s Photo-Oil Colors.